On Saturday, October 3, Philadelphians experienced a state-of-the-art projection mapping creation as it spread across the 300 foot wide Western façade of City Hall. The light projection display brought to life the 1800’s municipal building’s masonry and architecture with pulsating movements, psychedelic imagery, geometric mapping, 3D graphics, and a custom music composition. Via a custom control board, attendees were able to create audio-visual designs that were then projected directly onto the landmark building, in real time. 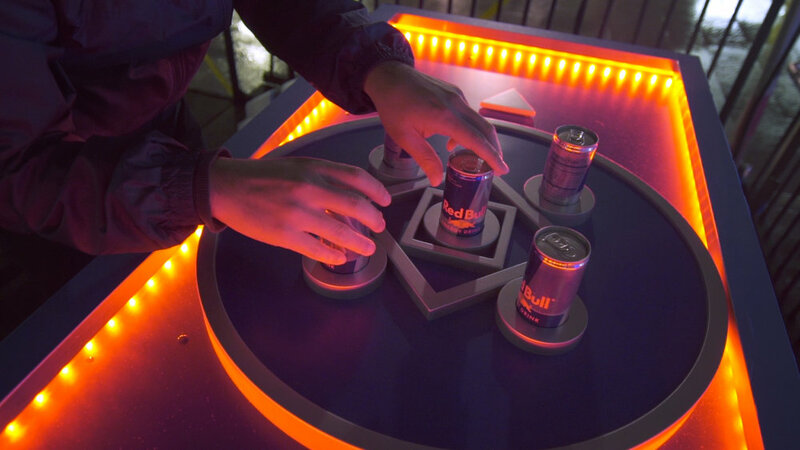 The visual installation, the first-ever of its kind on Philadelphia’s iconic City Hall, was part of the opening night festivities of the 2015 Red Bull Art of Can, a physical and digital art competition that asks creatives to create art pieces inspired by the Red Bull can. Check out the behind the scenes video for a more in depth look at our process. 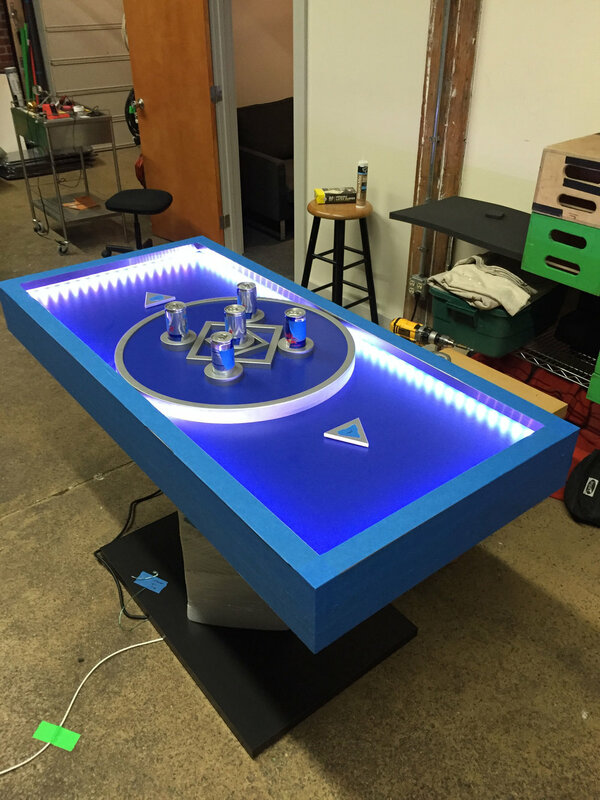 The interactive VJ / DJ mixing table we used was custom built for the event. 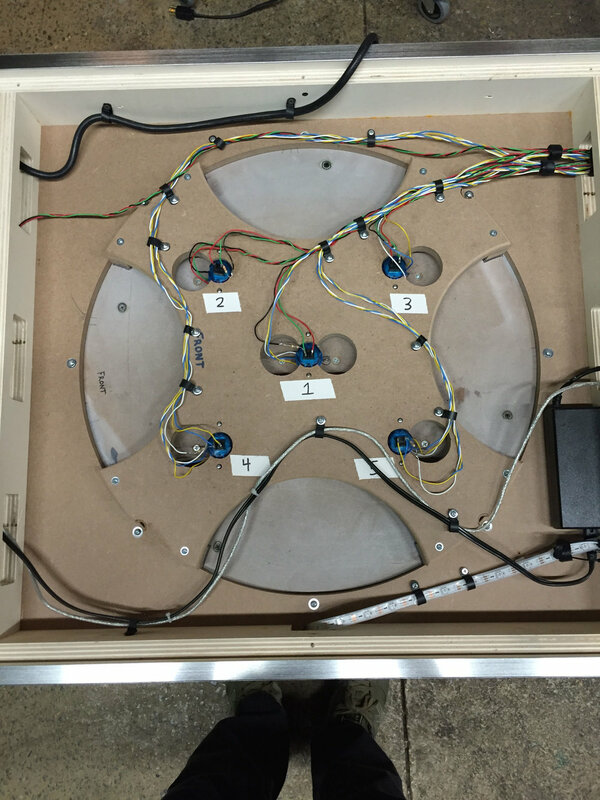 We then wired up seven buttons, potentiometers, a strand of LEDs, an arduino, and a mac mini inside for handling the input and passing it out via network cable to our Touchdesigner server. 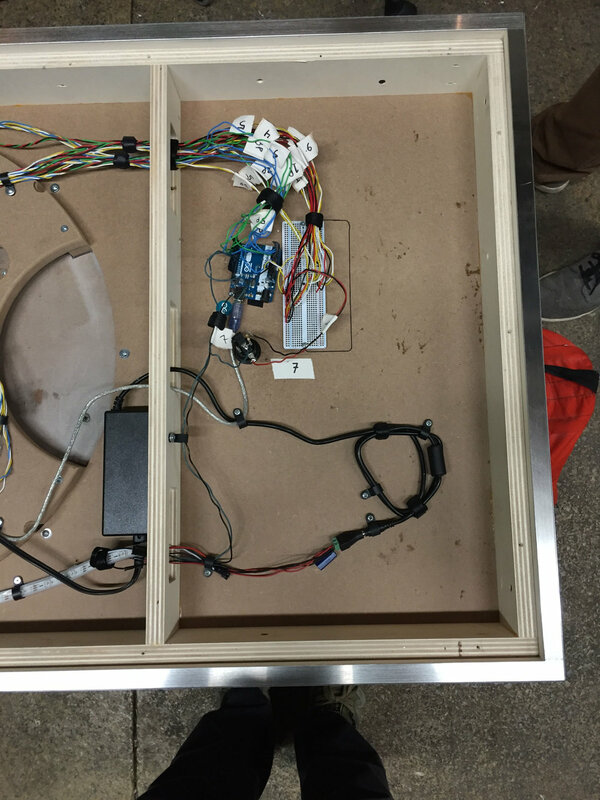 Cable management and labeling was our friend as we wired up the inputs of the table to the arduino. We photoscanned Philadelphia's City Hall in order to get a base model for projection mapping mockups and animations. Once the model was cleaned up, the next steps were animation and lighting tests. Last but not least, putting it all together in Touchdesigner for our media server.